Maybe, just maybe, Microsoft could pull this off. I held the Lumia 950XL in my hands. 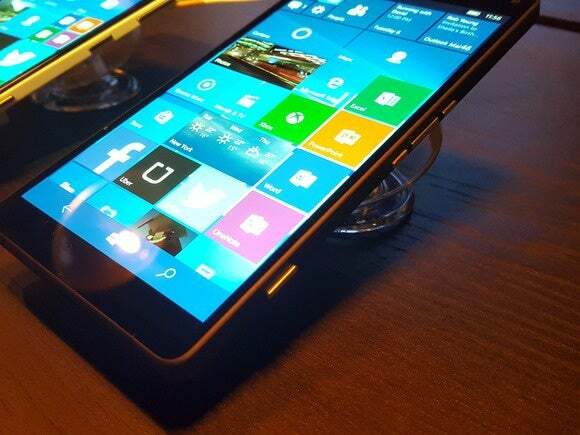 This is the Windows Phone flagship we've been waiting for, the phone that will lead its ecosystem. But where's Windows Phone going? Logic tells me there’s no way Microsoft can resuscitate the market. Simply gaining a little ground won't be enough—it can't survive unless it can sit respectably near to Android and iOS in market share. After spending a little time with the Lumia 950XL, I can consider the possibility that maybe, just maybe, not all is lost. A nonstop trickle of rumors have slowly revealed the specs of the Lumia 950XL (as well as the 950 and 550) over the past several weeks. What Microsoft showed off on Tuesday didn’t reveal any new surprises. 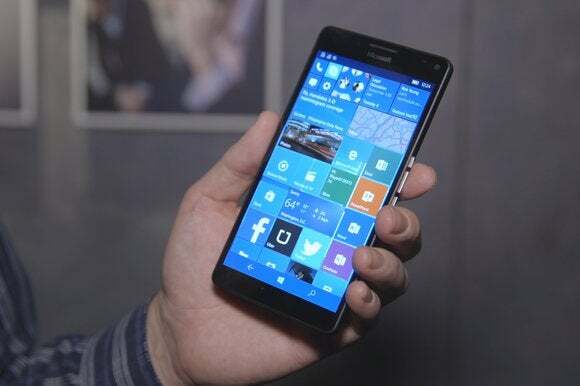 As the names suggest, the Lumia 950XL is the largest of the phones, with a 5.7-inch, 2560x1440 resolution AMOLED display, an octa-core Qualcomm Snapdragon 810 processor, and 3340 mAh battery. Say what you want about the Galaxy Note, which popularized the phablet concept. 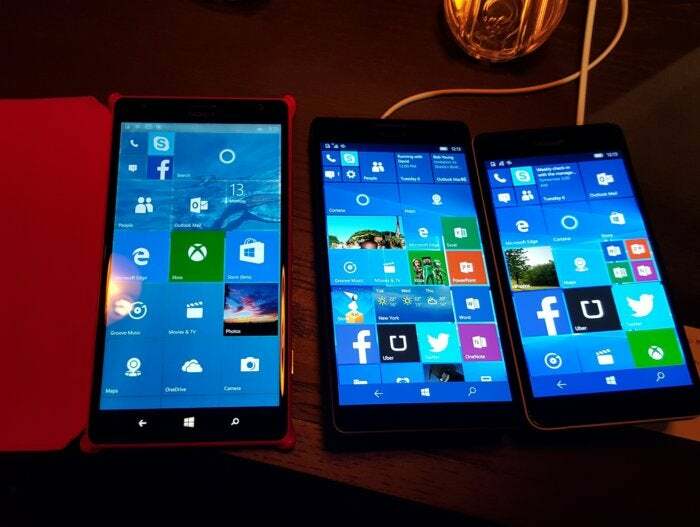 Microsoft pretty much invented the phablet with the 6-inch Lumia 1520 (left), compared against the 950XL and 950 (right). I couldn't verify which Windows 10 Mobile build the phone was running, but the demo 950XL I tried felt snappy, without any of the lag that afflicts phones that have been upgraded to Windows 10 Mobile. It seemed like a fast, smoothly running phone. There’s a USB-C charging port in the lower edge of the phone. Microsoft says you can charge it to about 50 percent in 30 minutes or so. Headphones plug into a port in the top. 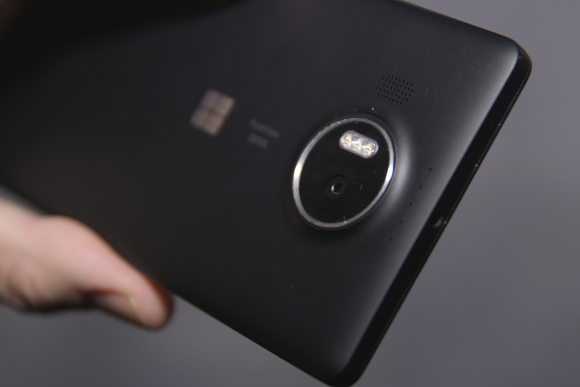 The Microsoft Lumia 950XL has a 20-megapixel rear camera (shown) and a 5MP front camera as well. I snapped a few shots with the Lumia 950XL camera, and they looked fine on the display, although that doesn’t mean much. I do like the fact that the phones boast camera buttons, which give you immediate access to the camera so you don't need to fiddle with apps. Notice the three middle buttons on the phone's edge (below): That’s a slight change from the previous Lumia designs, which placed the middle power switch in a separate location, and made the volume up/volume down buttons a single rocker switch. I was confused the first time I used it, but it shouldn’t be a difficult adjustment to make. Phones like the Lumia Icon feel substantial, due in part to the metal used in their construction. In contrast, the recent Lumia 640 feels light and plasticky—not quite cheap, but it doesn’t scream quality, either. The 950XL feels like a nice combination of the two: solid, and with a weight that sits comfortably in the hand rather than weighing it down. I think the back is made of plastic, but if so, it feels more rigid than Microsoft’s more recent midrange phones. The new phones also include a version of Windows Hello, which uses an iris reader to identify you. I wasn’t able to unlock the phone (the phones were locked to the demo personnel) or test any of the phone's connected features. I was able to try out the iris reader for myself, however. It shines a low-power red light into your eye. You need to stick your eye close to it, so it can read it. It didn’t seem especially painful when I tried it, though I can’t vouch for its accuracy, obviously. 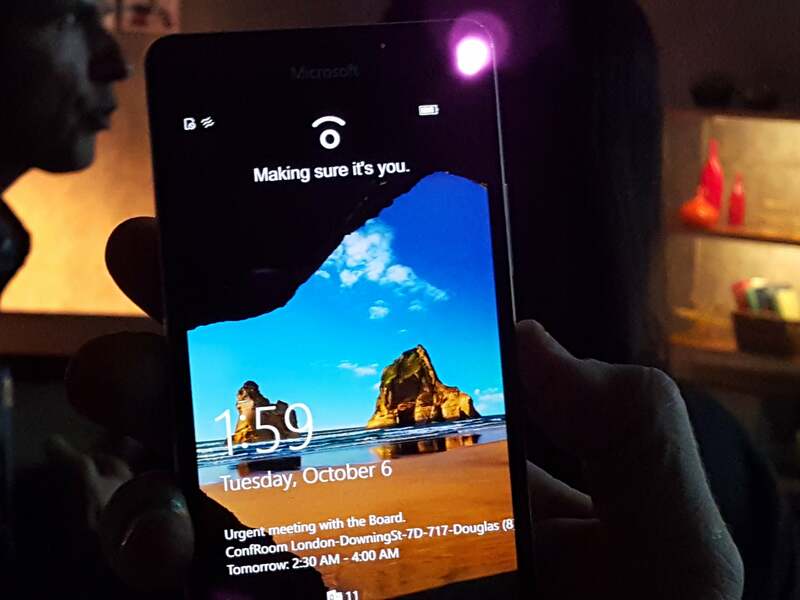 The Lumia 950XL and its red iris reader can log you in using Windows Hello. A week or so ago, I advised a coworker who was curious about Windows phones to look elsewhere, to Android. He bought the latest Note 5. I’m sure he doesn’t regret his purchase. I will say, though, that he may have jumped the gun. If you’re a Windows phone fan, don’t make the same mistake. We need to acknowledge a few harsh realities: the lack of apps (though Facebook did join the universal app party Tuesday), and no word on which carriers are going to sell these phones, although we do know they’ll be priced at $649 and $549 for the 950XL and 950, respectively. Perhaps Microsoft will simply sell them unlocked, direct from its online and physical stores, and call it a victory for the consumer. What we saw today were Windows phones we could get excited about. We'll have more to say once we can do a full review of the hardware, and after that, the people will render their final verdict. I'll admit I'm pessimistic—the faint, bright light of these flagships could be extinguished in a year. At least Microsoft will go out fighting, and that's great to see. This story included copy previously written by Jared Newman.